Breakaway Addiction Services’ mission is to provide seamless, comprehensive and effective harm reduction services and a full range of addictions treatment services that are amenable to an individual’s needs and goals. Breakaway services are offered through a combination of office-based programs and community-focused outreach and street-based work. Reporting to the Board of Directors, the Executive Director leads and guides Breakaway in achieving its strategic plan as well as managing the day to day operational activities of the agency. With the retirement of its founding Executive Director, Breakaway is seeking a candidate who is passionate about and committed to the mission of Breakaway. The Executive Director will continue to build the organization’s strong reputation as a leader in substance use support and treatment within a harm reduction, trauma informed approach. The candidate will also need to be a skilled change manager who is an exceptional people leader. Under the direction of the Board of Directors, the Executive Director provides overall leadership to the execution of the agency’s mandate, its strategic priorities, policy, operations, program service evaluation and, foremost, the delivery of effective sustainable services to clients and their families. In collaboration with the Board of Directors, creates and sustains a strategic vision and business plan for the continuum of services and supports for all persons with addictions in collaboration with internal and external stakeholders. Leads the development and evaluation of existing and new programs to support both its office-based and community outreach services. Works collaboratively with the management and staff teams to ensure the work environment is supportive, fosters teamwork, and promotes continuous learning. Ensures the effective management of human, financial, and physical resources of the agency and anticipates and manages organizational risk, in order to deliver high quality program services. Serves as Breakaway’s key spokesperson and ensures that Breakaway and its mission are consistently presented in a strong, positive image to funders, external stakeholders, and the general public. Develops and maintains collaborative relationships with external partners including funders (Ministries of Child, Community, and Social Services and Health) other addiction services providers, community partners and associations, provincial agencies, academic partners, and provincial research bodies. Provides executive support to the Board of Directors and its Committees by ensuring that Board members are fully informed through provision of timely and thorough information related to all aspects of the Board’s governance responsibility. At Breakaway Addiction Services, we are committed to fostering an equity-based, inclusive, and accessible environment. We are dedicated to building a workforce that reflects the diversity of the communities in which we live and serve. 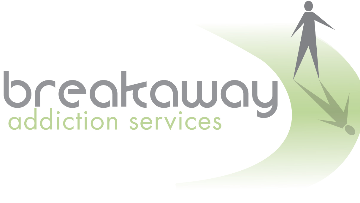 Breakaway is committed to providing accommodation in all parts of the hiring process. If you require an accommodation, we will work with you to meet your needs.